Our new sales binders are a handy tool. Inside you'll find everything you need to start selling better. The new binders were designed as a sales presentation resource. Larger images and diagrams make it easy to tell the story of the strength and beauty of Trigard Memorials, and a CD containing electronic order forms makes completing a sale easier than ever. 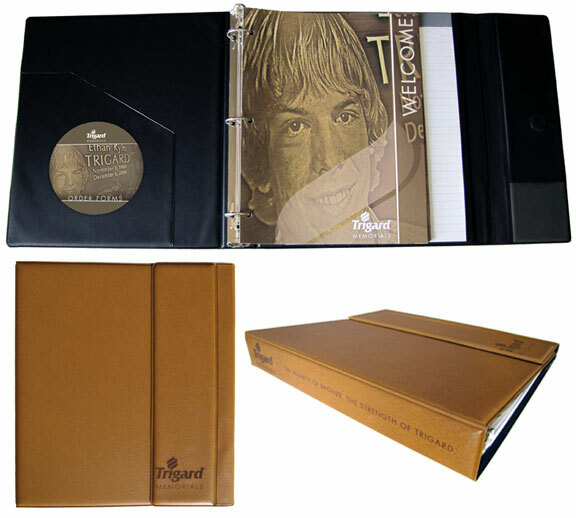 Call Customer Service at 800.798.4900 to order your sales binder today.